Print plays a major role in business today. Many organizations dedicate a significant amount of time and spend to marketing materials, documents and forms. It is essential that these paper products are high quality, cost-effective and secure. And just as important as the items themselves is the process used in producing them. As WiseGeek pointed out, the main purpose of adopting a strategic plan for print procurement, or the management of printing jobs as well as the costs associated with it, is to offer organizations a way to consolidate and save. By planning in advance, businesses are able to reduce costs and improve operational efficiency, which, in turn, leads to higher profits. In their effort to reduce costs and streamline workflow production, it is essential that organizations take into consideration whether or not their current print strategy is the most effective one. One of the easiest yet damaging mistakes a company can make in its printing operations is to used different suppliers for different jobs. For example, a firm may use one provider for marketing materials, such as brochures or direct mail ads, and another for transactional forms and business documents. Taking this fragmented approach can not only lead to production delays and slower delivery times, but it can also result in unnecessary expenses. To make the most of their printing procurement models, it would be wise for businesses to look at the ordering aspect in particular. A survey conducted by Noosh recently revealed that more organizations are starting to outsource print procurement operations and that customers are demanding increased visibility. However, purchasing is done, for the most part, through email and other outdated electronic channels of communication. In addition, 35 percent of print providers said that they feel they do not have the capabilities needed to offer their customers more insight and transparency. This is obviously an issue, especially considering the highly digitalized and automated nature of today's business environment. Failing to adopt the technological innovations and digital tools that make printing procurement processes more accessible, efficient and affordable is hurting organizations. When using multiple print providers for various jobs, information is scattered. Companies looking to reduce costs need to implement a strategy that allows them to consolidate essential data and access it in one place. Furthermore, print providers must be able to give their customers enhanced insight and visibility into purchasing operations. Doing so allows companies to better manage inventory levels, collect more information on spending patterns and uncover opportunities to reduce costs. By automating the the printing procurement process, businesses don't have to worry so much about the accuracy or timeliness of reporting. It eliminates the risk of human error that is often present in manual, outdated systems. Below are some additional advantages to using a solutions provider that offers a Web-based distributor portal. Real-time tracking. Buyers will benefit from online order management by being able to track the status of an order in real time and getting advance notice of deliveries. Online ordering. There is no need to waste time in the printing process by placing orders that have been done the same way before. Businesses that use Web-based portals will be able to place exact repeat orders online. This saves time and expedites workflow production which, ultimately, leads to higher savings. Warehouse management automation. An integrative platform for printing procurement allows users to access an interface that provides real-time inventory and stock level reporting. The more insight a buyer is given into order and warehouse operations, the better that individual will be able to adjust operations accordingly – which benefits both the customer and the distributor. When it comes to optimizing the process of print procurement, the primary goals are to reduce costs and improve efficiency, without sacrificing quality. And that is exactly what businesses must look for in a distributor. By partnering with a solutions company that is up to date on the latest technologies and innovations, firms can streamline operations and significantly enhance their production times, without exceeding budget. The technological innovations and digital developments that are driving today's world must be harnessed by all types of organizations – including print providers. 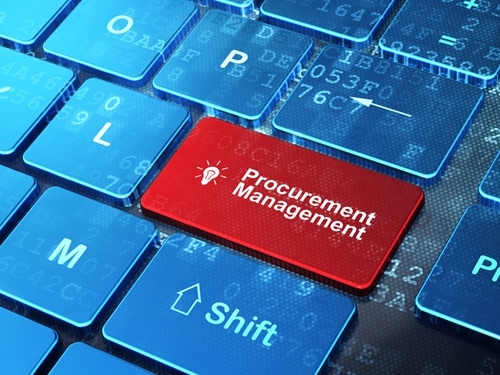 In their efforts to lower costs, increase quality and improve efficiency, companies must look for ways to create a more strategic procurement process. The more transparency a purchaser is offered, the better equipped that organization will be to use that knowledge to gain a competitive advantage. Using an online portal for printing jobs gives businesses more control over their procurement process, as well as higher levels of visibility and insight.